Everyone’s talking about Clodagh Hawe, and the truth is coming to light. But Ireland, we need to keep on shouting it out. We need to end this domestic violence slaughter. I’d like to talk about Dolores Maxwell, my mom. 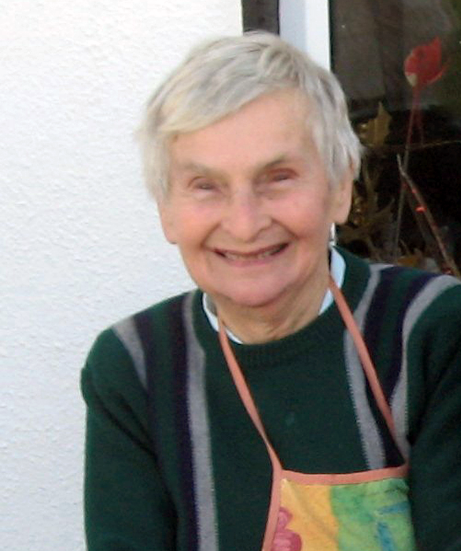 She died a victim of elder abuse six years ago at the age of 80. It has been living hell, and the fight for justice for her a horror that must be spoken of to protect future potential victims. We must not remain silent. We must speak for the vulnerable who cannot. When we finally gained entrance to Mom’s home in Nov. 2010, after almost a month between CCU and a ward, we knew there was much to be told. Electricity, water, landline cut off, locks changed. 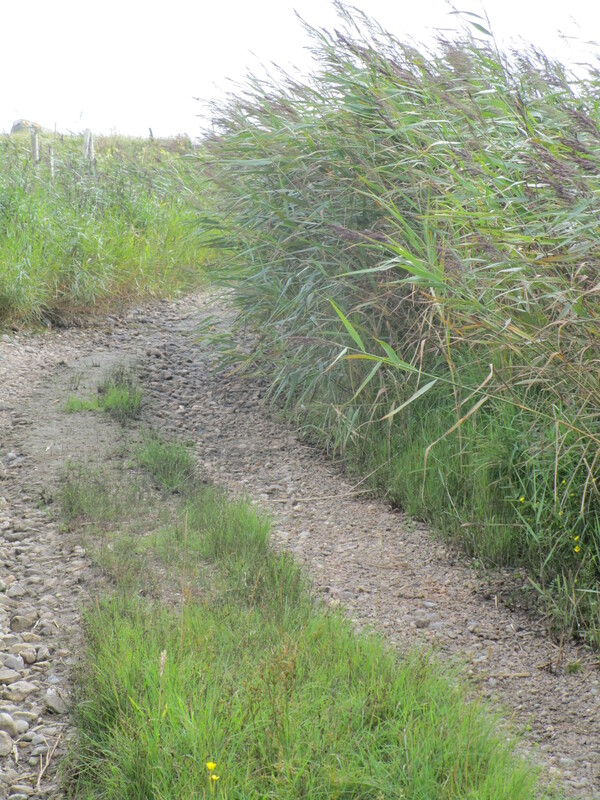 For someone who was expected to return home, there was something horribly wrong. My eldest brother and I were sure we were walking into a crime scene. 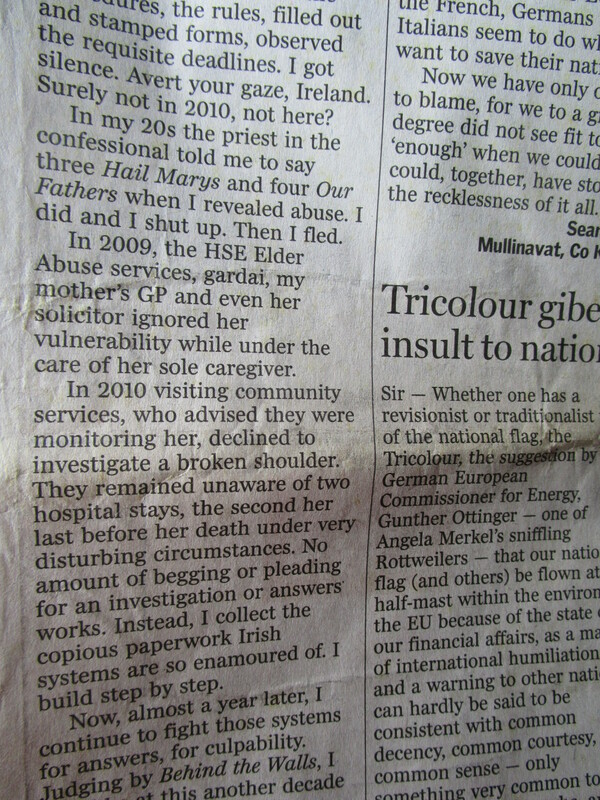 But the HSE Elder Abuse Senior Caseworker with us was little help in calling the alarm to Gardai. 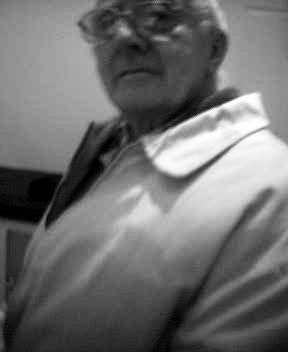 Her solicitor, too, seemed to have written his elderly client off while she lay in Wexford General Hospital. Burnt bank statements lined Mom’s fireplace and chimney, torn remnants of bank statements were in the emptied bins and torn up receipts. In her sink was a discarded cranberry juice carton – not something she’d be drinking with Warfarin. In her bedroom her Sacred Heart painting was buried between dresser and wall, no longer on the wall facing her bed. The overpowering smell of fuel filled the house when the heat was turned back on. And the shower was so hot it burned. 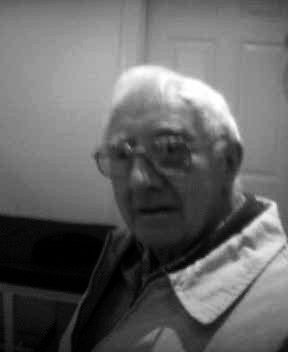 There was no trace of my Dad who died Jan. 22, 2008. And for a mother who supposedly didn’t want her children around, you had to ask: What about the Christmas cake ingredients? The festive cake bands. Brown sugar. Granulated sugar. Castor sugar. August, September all of it gathered, readying to bake for children in America and elsewhere, like she’d done every Christmas since we’d left. A small bottle of whiskey to soak the cakes with. A Pioneer, Mom never touched a drop. Christmas preparations by this woman with broken shoulder, aneurysm who allegedly ‘chose’ not to have her children and grandchildren be a part of her life? Who allegedly ‘chose’ not to be visited by children? The same woman whose phone line had a kill switch by the halldoor wall. The same woman who with primary school rote could tell anyone ‘I am well looked after.’ Who really didn’t need looking after. Who was capable. Yet was completely isolated by her youngest son. Who presented with a broken shoulder, lacerations and bruising a month before her final, unexplained hospitalisation. Mom’s story – our story – is complicated. I grew up in what one American friend [I call my American mother because she helped me rebuild from a childhood of physical, sexual and emotional abuse – ] called a war zone. There was Mom, Dad and 10 children. To understand my Mom’s final year of severe isolation, cut off by phone, and personal visits, forged letters, threats of Orders from solicitors, you need to know there was decades of abuse. First my father. Then my youngest brother. You need to know the history, the patterns that brought my Mom to her death by elder abuse in 2010, while Gardai, her GP, solicitor and HSE Senior Elder Abuse Caseworker/Community Services were aware of her risk almost a year before. I left Ireland in 1984 for the USA, married, had a child, and remained there for 24 years. Over the decades I’d heard various stories from my siblings. My Mom being held in a headlock by my youngest brother, having her nose broken, infection setting in and it being re-broken. I heard of jobs she took to take her out of the family home and out of our brother’s presence. I heard tell of my dad’s black eyes, his fear of his youngest son. I too saw his fear and trembling while trying to protect his possessions from my youngest brother in 2005. I heard the yelling, screaming and bullying from this brother; his use of physical threat against my petite Mom, and elderly Dad. He was always looking for money from my parents. By the time I returned in 2008, I’d already witnessed my youngest brother’s bullying and menacing actions towards Mom and Dad, myself, and my daughter. I saw him bundle my Mom into his car, against her express wishes, and intimidate both of us while driving. What followed has been living hell, trauma and horror that I as a writer, former journalist, even struggle to express. 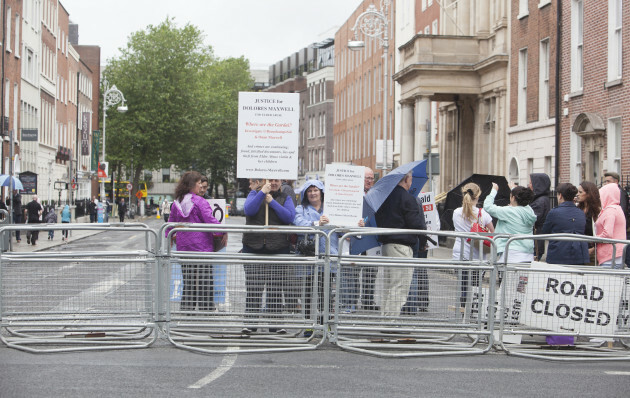 Mari Maxwell hosted the World Elder Abuse Awareness Day outside Dáil Eireann June 2016. Mari’s mother Dolores Maxwell who died tragically a victim of elder abuse in Nov. 2010, as a result of managerial failure within the HSE & Garda Síochána. I reported elder abuse to the HSE in Dec., 2009. I sent registered letters to Wexford, Bray and Rosslare Gardai and Mom’s GP warning of her risk. Bray Gardai responded, and later backed off calling it a civil matter. The rest were silent. The newly appointed HSE Senior Elder Caseworker contacted me before Christmas. He would visit Mom, and we would see how a family Christmas meeting with our Mom fared and follow up early Jan. 2010. Again, my youngest brother had to be approached because Mom was staying in his home in Bray. Mom was taken elsewhere, after my brother delivered a threatening letter to several of us, his siblings. The next time I saw Mom was when I ignored my brother’s ‘visiting ban’ and snuck in to see her in the CCU, a week after her admission, eight weeks before she died. I was kicked out. In late January 2010, HSE Elder Abuse received a referral of elder abuse from its Public Health Nurse, following a ‘very difficult’ meeting with my brother. In time, the senior caseworker would also be yelled at by our brother for calling during office hours – effectively cutting off contact. Noting how volatile things were, the HSE backed off. I begged for a family meeting, part of the HSE Elder Abuse protocol, hoping it would help defuse my brother. The caseworker wrote he [typos are included in original]: “would not recommend any unannounced visits to her house or other more drastic meassures like calling the gards to check on her. Through the visits by nurses and her home care attendant we know that she is ok at least.” By Feb. 2010, the investigation was dropped and HSE Elder Abuse were ‘monitoring’ Mom. Thirty-seven people confirmed both my parents were under severe duress from my brother. I spent most of 2010 appealing the HSE’s decisions, through Ombudsman, Freedom of Information, Community Service’s Managers and more. Mom was copied on all correspondence. There was nothing on this in her home. By April 2010, I was terrified that Mom’s abuse and isolation had escalated. She turned 80 on April 24, and her children could not reach her. By August Mom had a broken shoulder, grazed cheek and bruising. Hospital notes state a history of falls other family members are unaware of. HSE Elder Abuse monitoring it all through the Home Care Attendant and Public Health Nurse were unaware. Community Service notes state Mom’s children were all living abroad/away. Notes of several ‘ineffective card’ left by Community Services, phones not working. Seven of the 10 were living in Ireland at the time. Mid-August a brother on his annual holidays with his family was unable to visit his Mom. When he returned home, he received a letter threatening an Order allegedly from Mom’s solicitor. Mom was an inpatient in CCU Sept. 1-8, 2010. HSE Elder Abuse were unaware. It is unclear what transpired, again my brother was in her company. Doctors found an aneurysm and she and her consultant discussed it. She caught the bus home. In the days before her final hospitalisation [Sept. 26-Nov. 28, 2010] Mom was discussing marketing with her neighbour, the GP reports she was fine. The day before her admission, the windows on Mom’s home were all open, including a skylight that was never seen open before. Mom was not seen all day. My brother, neighbours say, arrived unusually early the evening before. After midnight neighbours saw our brother throwing items from Mom’s bedroom window, and other open windows into a skip below, while speaking agitatedly on the phone. It was 8 degrees. The neighbours were so unsettled they made a note of day and time. CareDoc and an ambulance were called late Sat. early Sunday. Mom’s heart was restarted. She was unrousable. My brother ordered medical and administrative staff at Wexford General not to release any information on Mom to anyone. He advised he had Power of Attorney. On the Sunday evening, while Mom lay in CCU, unrousable, my brother called Mom’s Home Care Attendant to say Mom was sitting in the car next to him and he was bringing her up to his home in Bray for the week – the attendant’s services would not be needed. Mom was in such a state her consultant and medical team were very puzzled as to what had happened her between admissions. The consultant wondered ‘under medication’ but was reluctant to be involved in ‘family matters.’ Following up on Mom’s first hospitalisation, the Public Health Nurse acted on hearing the attendant had been called. HSE Elder Abuse visited Mom in the CCU, waited a day, then emailed myself and another brother our Mom was in CCU. It was a weekend by the time family gathered at the CCU Oct. 2, 2010. My brother banned me from visiting Mom, as he did another brother. He had no authority or Power of Attorney. The HSE Senior Elder Abuse Caseworker met with us – later calling this one of two ‘family meetings’ I had pleaded for prior to Mom being in the final unrousable state she was. 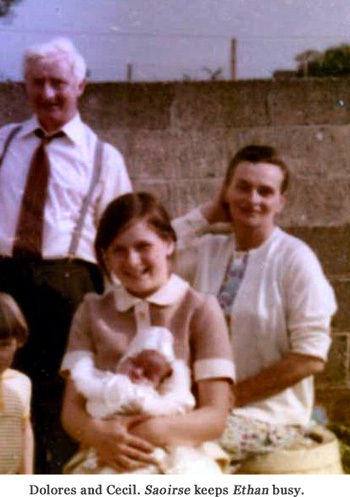 Several of my siblings corroborated – in person – with the HSE Elder Abuse Senior Caseworker the long history of physical, financial and emotional abuse. Graphic statements from one sister and her children spoke of a long history of physical and financial abuse on both my parents over the years. The statements were later withdrawn. 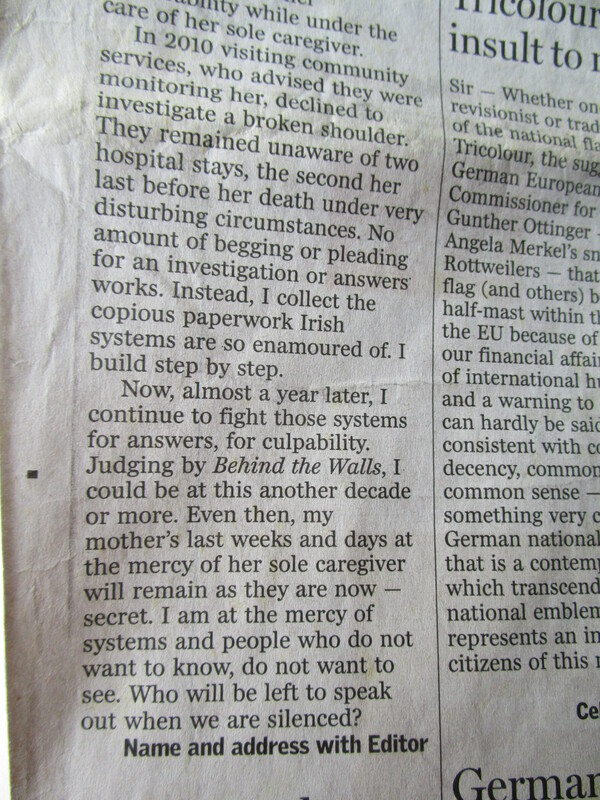 Still not aware of all that led to Mom’s admission, but knowing my brother had withdrawn €5,000 from her accounts while she lay in the CCU, had cut the attendant off from retrieving her notes in Mom’s home, I had to persuade the caseworker to attend Wexford Garda Station with me to file a complaint of elder abuse. The Garda laughed us out of the station, calling it a ‘civil matter.’ ‘Domestic.’ I got the same reaction when I returned another day to plead for an investigation. Later when several of my siblings and I went to local Garda stations to ensure our brother was not given Power of Attorney over Mom’s affairs. Our complaints were forwarded to Wexford Garda Station, the same Garda again. Now with several siblings expressing concern about our Mom’s risks, he was adamant there would be no investigation. In the months/years following Mom’s death we’ve been able to piece together much. All of it tells a tale of horror. 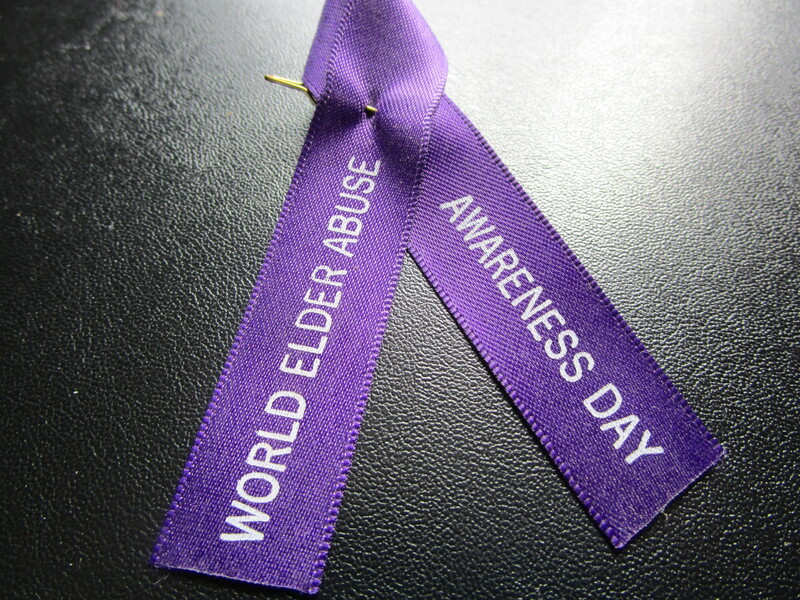 The most frightening is there is no protection when it comes to elder abuse. Since its debut of Open Your Eyes in 2009, the HSE Elder Abuse has cut back to where the general public believes their loved ones are protected. Not so. It’s all an illusion. Statistics on Elder Abuse kept by the HSE are completely flawed. There is no mention of prosecutions, merely cases reported. What happens to those families and lives is never addressed. According to the Irish Times, http://www.irishtimes.com/news/ireland/irish-news/elder-abuse-at-record-levels-according-to-hse-report-1.2254569 2,592 cases of elder abuse were reported to the HSE in 2014. So what happened to all those cases? In Mom’s case the HSE Elder Abuse Senior Caseworker closed his file in 2011. He wrote: “confirmed non abuse” He doesn’t consider the options of “allegation unsubstantiated” or “inconclusive.” He also notes suspected/possible issues for client Dolores Maxwell are N/A. No legal consultation by the HSE or legal action is taken on behalf of the HSE’s client Dolores Maxwell. Strange also because the HSE Elder Abuse Senior Caseworker banned two of my brothers from visiting Mom after several of us witnessed them shaking Mom by her broken shoulder, and audibly tapping her on the head while unrousable in her hospital bed. The HSE Elder Abuse Senior Caseworker completely failed Mom – even falsified paperwork, accepted fraudulent typed letters and enclosures, allegedly from Mom. Shortly after her final hospitalisation he advised Mom was no longer a client of Community Services, but now WGH and there was nothing further he could do. 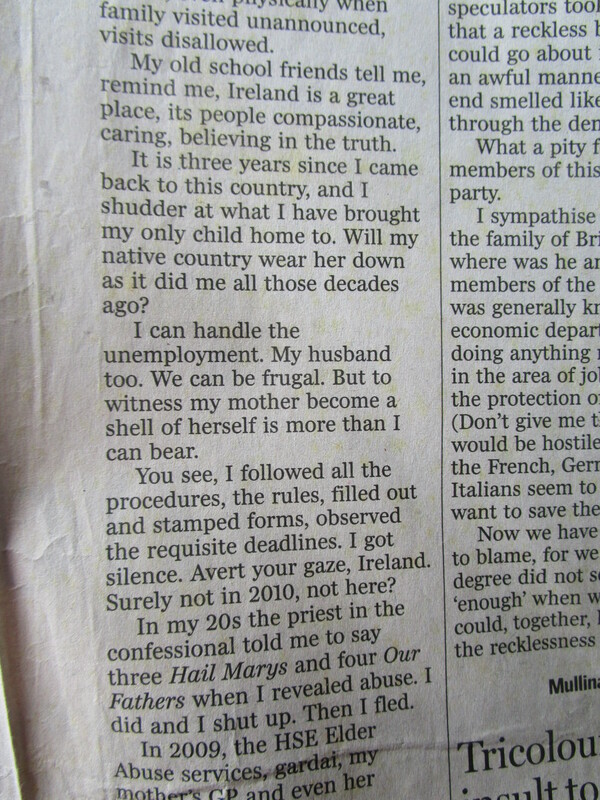 The Gardai failed Mom, and me. I had to fight for Rosslare Gardai to take my complaint of elder abuse which they finally did in 2013. It went nowhere so I complained to GSOC. That too went nowhere. I’ve been to superintendents, commissioners and more. Mom’s case is one of the 321 Panel Review cases – RTE Primetime’s producer spoke with me to advise they would not include Mom’s case in a programme aired in 2015. I’ve been to newspapers even met with reporters from the Irish Daily Star and spoken to Broadsheet.ie, there are no investigative reporters in Ireland. All news is sugar-coated and sanitised for the greater public. Read social media to get your news about what’s going on in Ireland and elsewhere. Mom’s GP and practice failed her – even threatened me legally when I asked a year following her death what steps they’d taken to protect her, following my registered letter in Dec. 2009. I’ve been to politicians, the Dail, Justice4All, Integrity Ireland, that revealed more steps to be taken. Clare Daly brought up Mom’s case in the Dail chambers. 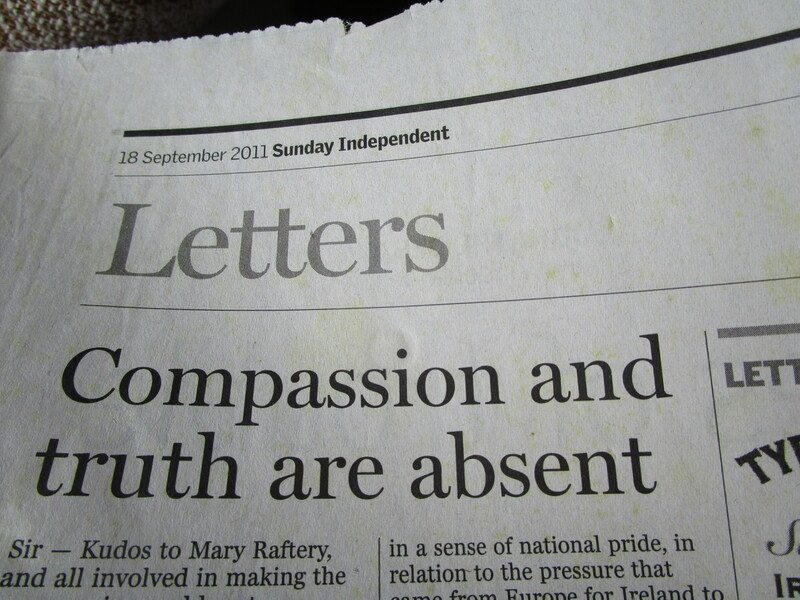 I’ve spoken on Public Internet Radio, Integrity Ireland, even wrote a letter to The Sunday Independent [http://www.independent.ie/opinion/letters/compassion-and-truth-are-absent-26772757.html]. No justice for Mom, or me now victim in this horror. I’ve been to Beauchamps’ Solicitors, Mom’s solicitor Joseph Bowe, its managing partner John White, its chair Imelda Reynolds and its partners. Their insurance broker Miller Insurance, their indemnity insurer Allianz. I’ve been to the Solicitors Disciplinary Tribunal, the Law Society of Ireland. No justice. Will anyone hear Dolores’ voice? I believe elder abuse is the next Magdalen Laundries horror in Ireland. The vulnerable in Irish society are expendable. Most abuse is not even reported. With this latest slaughter of a mother and her children, Clodagh, Liam, Niall and Ryan, I am shattered. Forever changed. Ireland, we really, really need to keep talking about this. Huge thanks to Barbara O’Donnell and The Bogmans Cannon for the column that almost was. Mom’s story had just too many twists and turns to tell quickly. Thanks so very much. I so admire your bravery and persistence, Mari, in speaking out – and continuing to speak out – about this despicable crime. I must to protect others Marion, and in the hopes some day someone will hear my mom’s voice. But I also can’t hold it so I have to let it out.